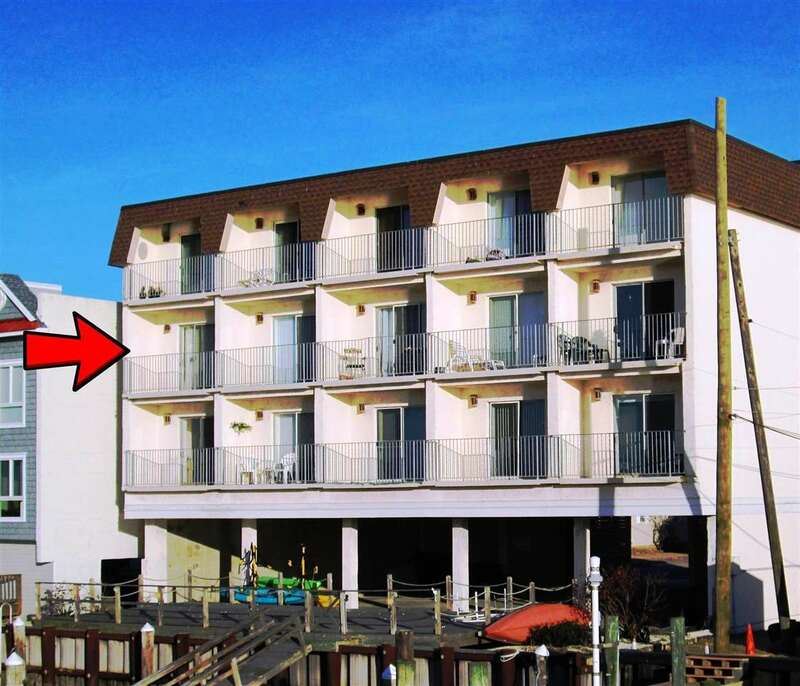 Most Inexpensive Bayfront Condo in Stone Harbor! This one bedroom, one bath Bayfront Condo has a Perfect Location. Living Room/Dining Area/Kitchen that has 24/7 Bay and Sunset views. An assigned parking spot on 96th St is RARE! It is located on the Third Floor for the Best Views! Building has had upgrades every year. Newer Cooling Tower and Heater, Security System, Elevator & Mechanical Room Improvements, Newer Deck and Floating Dock, Pilings, Outside Shower, Powder Room, to mention a few of the improvements. The $1500 quarterly fee includes electric, gas, water/sewer for each unit plus the building Insurance and Maintenance. Fish & Crab from the floating dock. Perfect place and price for a Summer/Fall/Winter/Spring Getaway!